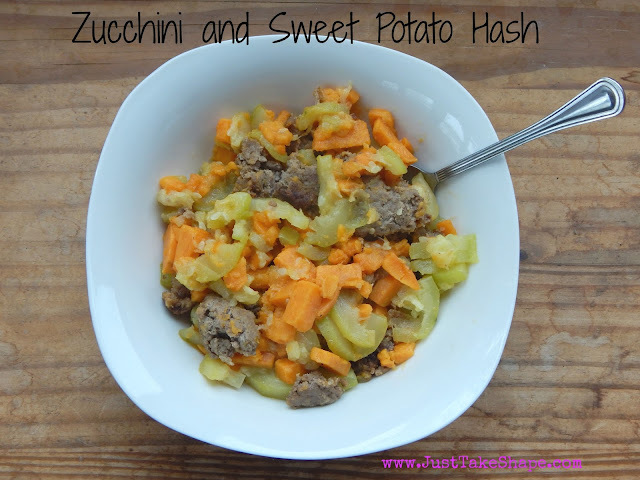 This post and giveaway are sponsored by CSB (in)courage Devotional Bible and the FrontGate Christian Blogger Network. The opinions about how it will serve our home well are my own. I never thought that I would want, or even consider, using another Bible, other than my well-used King James Version Bible, to study God's Word. 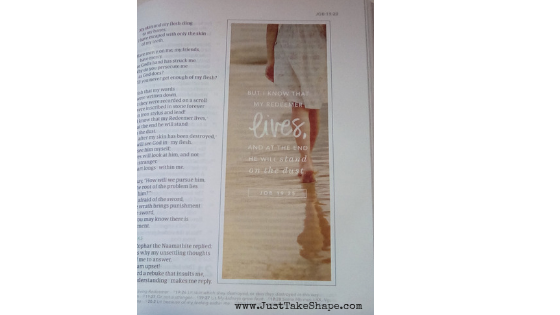 That was until I found the new Christian Standard Bible (in)courage Devotional Bible. 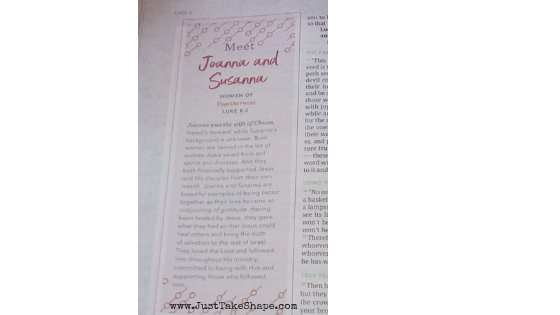 I've actually been looking at many different study Bibles to use, but after researching and perusing the many different types, styles and even languages of study Bibles, the CSB (in)courage Devotional Bible was a perfect fit, and is geared towards women wanting to read, learn and study more of God's Word. 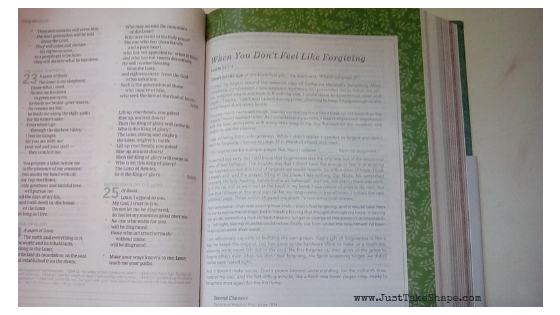 There were many different features of the CSB (in)courage Devotional Bible that caught my eye. 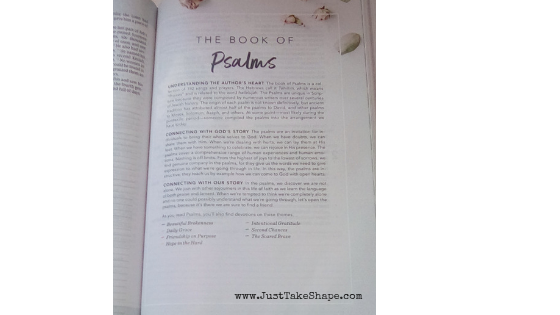 The general layout, colors and photos used throughout the Bible were very calming and easy on the eyes. As a visual person, I tend to chose things based on what colors and designs are used. While this may seem superficial, if I am to actually use the Bible as intended, and not just sit on my desk or bookshelf, then it must appeal to me visually or I am more inclined to not use it. One of the great features that I have not seen in any other study Bible until I found the CSB (in)courage Devotional Bible was at the beginning of each book in the Bible, there is a "Book Introduction," which includes a brief history of the book, how it connects with God's story and how you can use it in your daily life. 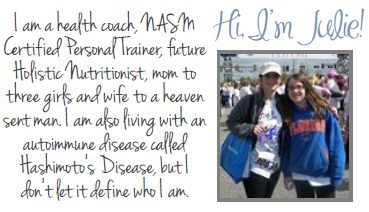 These introductions also list what theme of devotionals are found in the of the Bible. 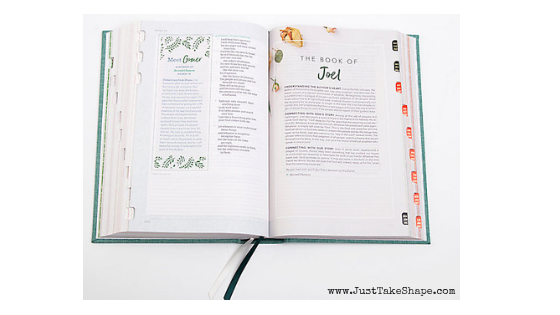 Now, as the title implies, it is a devotional Bible (even though I am using it as a study Bible), in that there are 52 reflective devotions throughout the Bible. Each devotional is categorized into one or more of ten themes, ranging from "Beautiful Brokenness" to "The Sacred Brave." These ten themes are also color/design coded so you can readily identify which "theme" the devotion falls under. While there are other things that I really enjoyed using this Devotional Bible, including reading plans, over 260 devotional pieces, and beautiful photos of themed verses (again a bonus for this visual learner), one of the other features that spoke to me are the mini-stories of over fifty women in the Bible and how God was present in each of their lives. 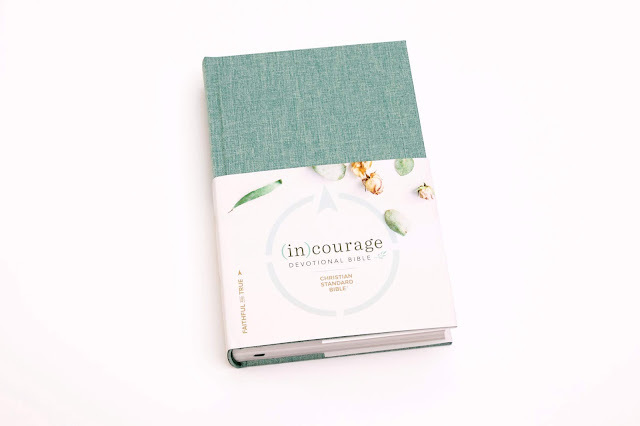 There are so many other interesting and beautiful things about the CSB (in)courage Devotional Bible that I haven't even touched, not to mention the great online community that they offer. If you would like to learn more about the CSB (in)courage Devotional Bible, please visit there site here. 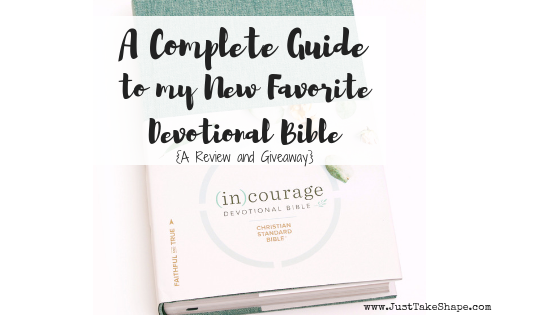 I am blessed to be able to share this great option where you can enter for your own chance to win your own copy of the CSB (in)courage Devotional Bible. Click on the image below to enter.